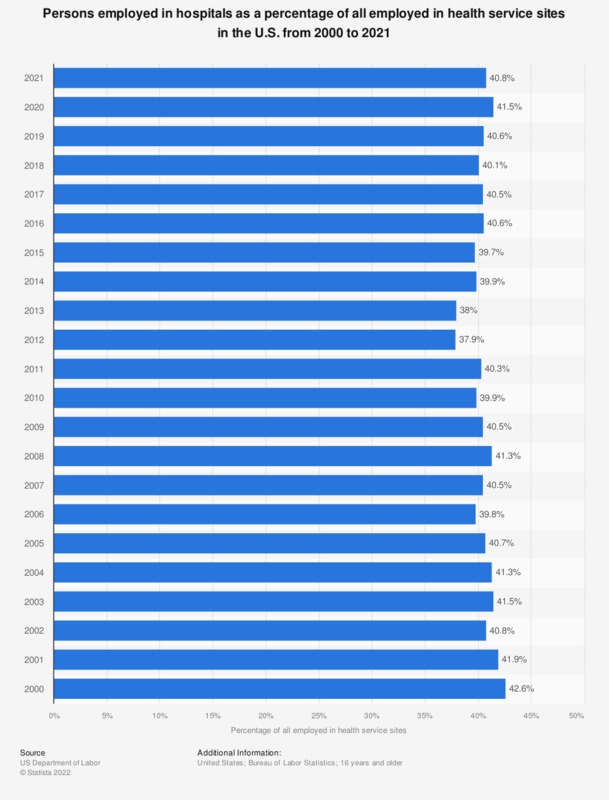 This statistic shows the persons employed in hospitals as a percentage of all employed in health service sites in the U.S. from 2000 to 2017. In 2000, 42.6 percent of all employed in health service sites in the U.S. were employed in hospitals. Data until 2009 are from CDC's publication "Health, United States, 2010". From 2010 on, values are calculated from the original source (BLS).